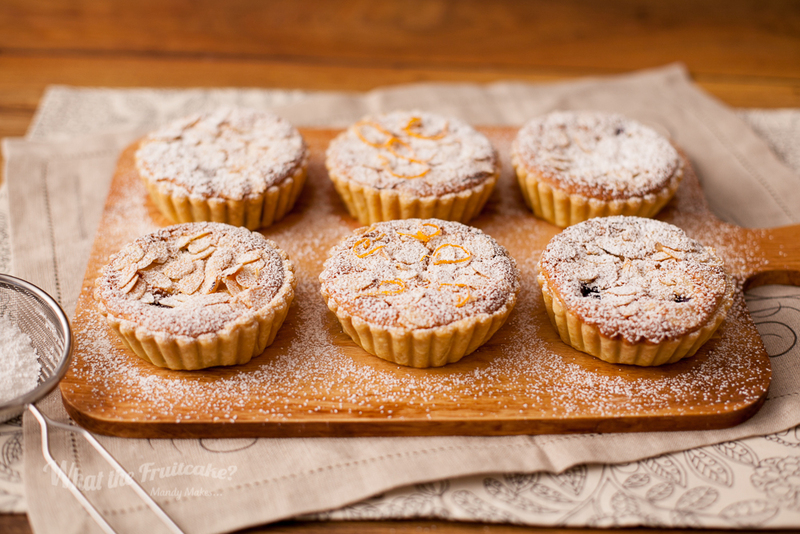 Bakewell Tartlette Trio — What the Fruitcake?! Another dessert that was introduced to me when I moved to Ireland, it seems the Bakewell Tart is quite well loved around these parts! This tart actually hails from across the pond in England, but as these things go, its neighbours somehow inherit it and then it becomes a loved local dessert. I could go into the history of this simple but delicious tart, but I think I'm possibly one of not that many a cake nerd who enjoys reading up on that stuff, so I don't want to bore you! If you're up for a little history on this pastry, I found a fantastic article here detailing it. Speaking of cake nerds, I ended up in a Facebook conversation about cake geeks vs nerds vs hipsters. I established my two friends and myself were one of each. I'm actually the cake geek, Maryanne the cake nerd and then Alex the cake hipster (by his own admission). So, this inspired me to write an awful joke. Please indulge me. Oh, before I begin, I should explain that this was inspired by Alex's incredible looking "Pi" pie. That is, a pie he made decorated with pastry numbers depicting the number of Pi. A cake geek, a hipster and a nerd walk into a bakery. The cake geek says, "I think I'll get a Battenberg cake. I like things that could be found in Minecraft." The cake hipster replies, "Well, I'd rather have a loaf of sourdough. I hear their starter is made with craft beer and it's been fermenting for 50 years." To which the cake nerd replies, "I'm just going to have some Pi(e)." It still needs some work but I think it has potential! Yes? No? Hahahahaa! Okay, I'll stop now! Now that I've suitably entertained you, let me tell you about this delicious trio of mini Bakewell tarts. For those of you who have yet to experience the pleasure that is a Bakewell tart, let me give you a brief description. Flaky shortcrust pastry shell with a bit of sweet raspberry jam spread over the base. The pastry case is then filled with frangipane, which is an interesting batter made with butter, eggs, ground almond and almond extract. Finally, to add a bit of texture, the top has flaked almonds strewn all over. Once baked, it's sometimes iced with a simple glaze icing. It is buttery and moist, yet I don't find it too heavy. The tartness of the raspberry jam as well as the strong almost floral almond flavour balances the richness of the butter in the filling. It's delicious, especially if you're a fan of marzipan. You can enjoy it warm or cold and it keeps really well so you can savour it for a couple of days, if you have the will power! Now, you'll note I said raspberry jam. This is one of the most common jams to use, but I think there is plenty of room to play with flavours! I'm not usually one for jams or marmalades, but as I mentioned above, I've been wanting to post a Bakewell recipe for ages and so I've had my eye out for anything interesting that I could use. When I came across some amazing and slightly unusual fruit preserves online, I knew I'd finally be able to work on this recipe! I couldn't settle on getting one preserve so I ended up with three. Sour cherry, blueberry and orange. In my opinion, all good flavours to stand up boldly to, and with, the strong almond flavour. I was so excited when my delivery arrived! (I love ordering things online. I feel like it's my birthday or Christmas when I get an e-mail saying I have a package waiting for me at reception :D) The one I was most curious about was the orange preserve. I thought it might be more like a marmalade, but it's not. It's thick with pulp and has an incredible rich flavour from the Italian oranges used to make it. It's sunshine in a jar. So good! The sour cherry also didn't disappoint. It really has a lovely sour tang to it, and of course, thick with chunky bits of cherry. Perfect for a Bakewell! The blueberry is also amazing quality and almost black it's so rich with blueberries. Now, I like to post recipes with ingredients that anyone can get their hands on, or at least similar substitutes, so if you're just baking on a whim so a quick nip to the shops is all the time you have for rather than waiting a couple of days for a delivery to arrive, then you could use any preserve or jam that's similar. My other favourite brand is the French St Dalfour. They don't have any added sugar, just the sweetness that comes from loads of cooked down fruit, so they're not sickly sweet and most of them have a great tang, just what you want for this dessert. And, they've got a lovely orange preserve as well as a blueberry one. I've included a link at the end if you do want to try the same jams that I used, but any decent preserve will do. I will always prefer a small batch preserve, like those you pick up in farmer's markets, but that's just my personal preference. You can choose to make one large Bakewell with one preserve flavour, or do what I did, make a few mini versions with variations. I've also stepped away from the norm by adding fresh fruit to my Bakewells, but it's not unheard of, so while we're coming into Summer I thought I'd add some plump blueberries and cherries, with a bit of grated orange zest for the last of my flavours. This is optional, but delicious. Although, I will be honest, the blueberry one does look a little messy inside. The dark blue tends to leech quite a bit, but that's just the nature of baking with blueberries. If you don't want that, just stick to using the preserve. Overall, I think this recipe is quite easy, and if you're comfortable with making shortcrust pasty, even easier. The frangipane can actually be made in a food processor, but I thought I'd share the more traditional way of making it in this recipe. 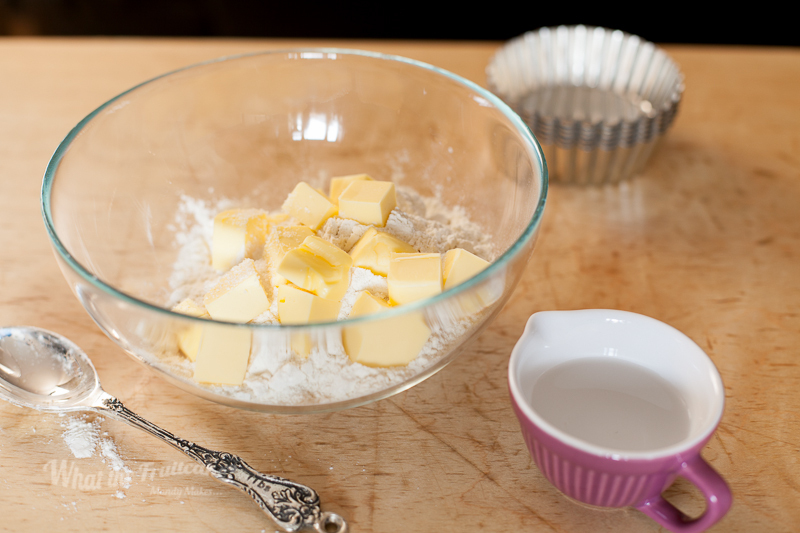 Add 2-3 Tbsp water and mix with a blunt knife, then use your hands to lightly bring all the ingredients together. If using a food processor, pulse until ingredients form a ball. Store in an airtight container at room temperature, will keep for 2-3 days. You can also keep them in the fridge, just allow to come to room temp before enjoying. Bakewell tart is often served with clotted cream, but I think it's also great with a scoop of vanilla ice-cream, especially if you warm the Bakewell tartlettes up before serving! 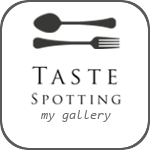 Posted on May 21, 2015 by Mandy Mortimer and tagged Bakewell Almond Tart Sweet Dessert Traditional Baked.